This entry was posted in Food, Thanksgiving and tagged BlogsgivingDinner, Sides, Sweet Potatoes, Thanksgiving. Bookmark the permalink. I’ve never made mashed sweet potatoes and these sound amazing. I also love the fact that there are no marshmallows on them. YUCK! I’ll have to try these sometime soon! 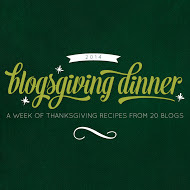 Happy #blogsgivingdinner! Sweet potato casserole is one of my favorite Thanksgiving dishes! This recipe sounds really good. 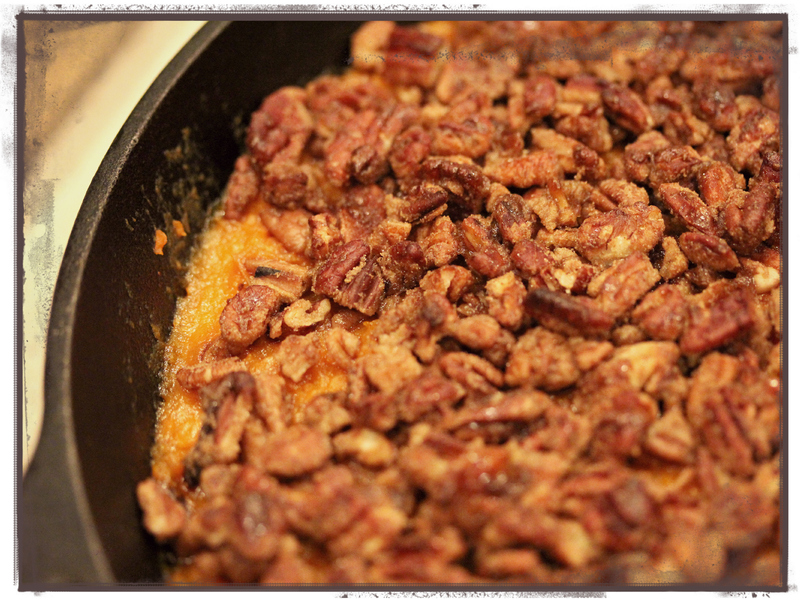 The pecans and brown sugar on top would be so tasty. Almost like dessert! I love that this is something different from the traditional marshmallow topping on sweet potatoes. Great idea! I prefer this type of sweet potato dish over one with marshmallows, and this looks like a delicious variation! I am not a huge fan of sweet potatoes (I know, who even am I?) but I would definitely try this. The sugary, maple, spicy and nutty topping seems like it would really take it over the top. Something about those spices, maple, and the sweetness of the sweet potatoes makes it all come together. Thinking there’s a sweet potato pie recipe just dying to break free from this recipe, too! Like you, I like to have a bit of a sweet side on my dish for Thanksgiving. And this Sweet Potato Crunch recipe sounds AMAZING. We’re huge fans of Sweet Potato Casserole over here, and I’m sure I could easily sell my husband on this dish solely based on the crunchy topping — because that is always so delicious! Same here! And I’m with you on the pronunciation. Hearing “pee-can” makes me cringe!